Wearing frilly skirts out in public always yields for interesting results. Also, I must say that driving in this skirt engulfs you in tulle which is dreamy. WOW! this dress is beyond fabulous! love this outfit! Well, the outfit with that skirt is just simply amazing and gorgeous! LOVE IT LOVE IT LOVE IT. The skirt is great , princes look , love this outfit! This look is seriously beautiful! 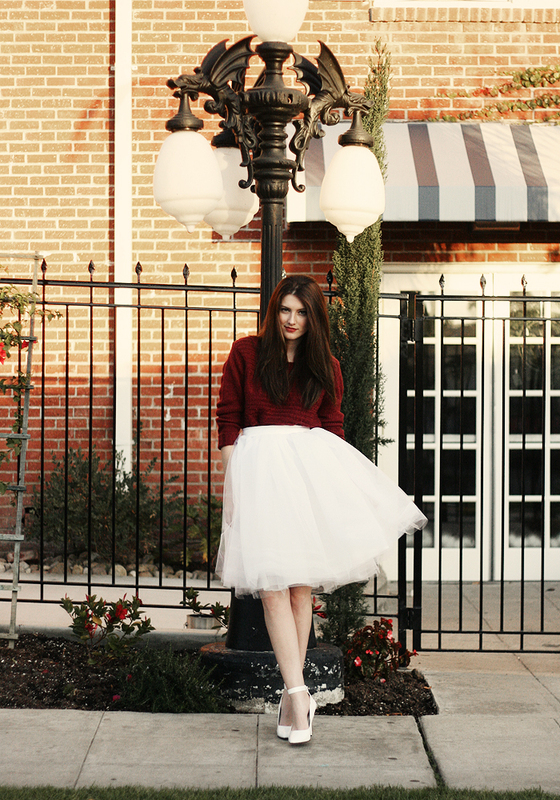 I love love love the tulle skirt pair with the chunky knit sweater. The colour of your jumper is just lovely! I wish that I was as creative as you, will have to give it a try when I get the chance! You look like an angel, Jade! I love seeing your creations come to life! Your DIYs are amazing!